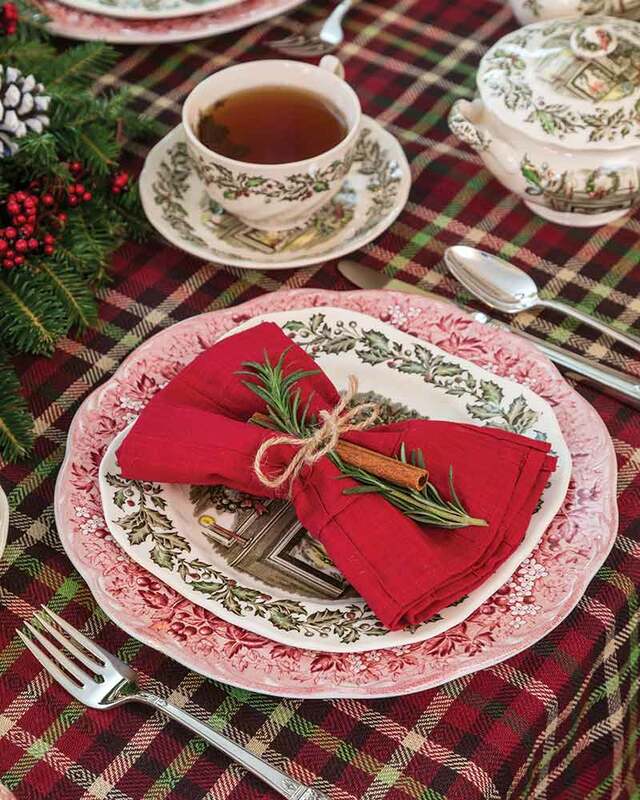 Holiday tea parties are nothing short of magical! Tea parties are near and dear to me because they feel like such an elegant occasion, but they are fairly simple to prepare. 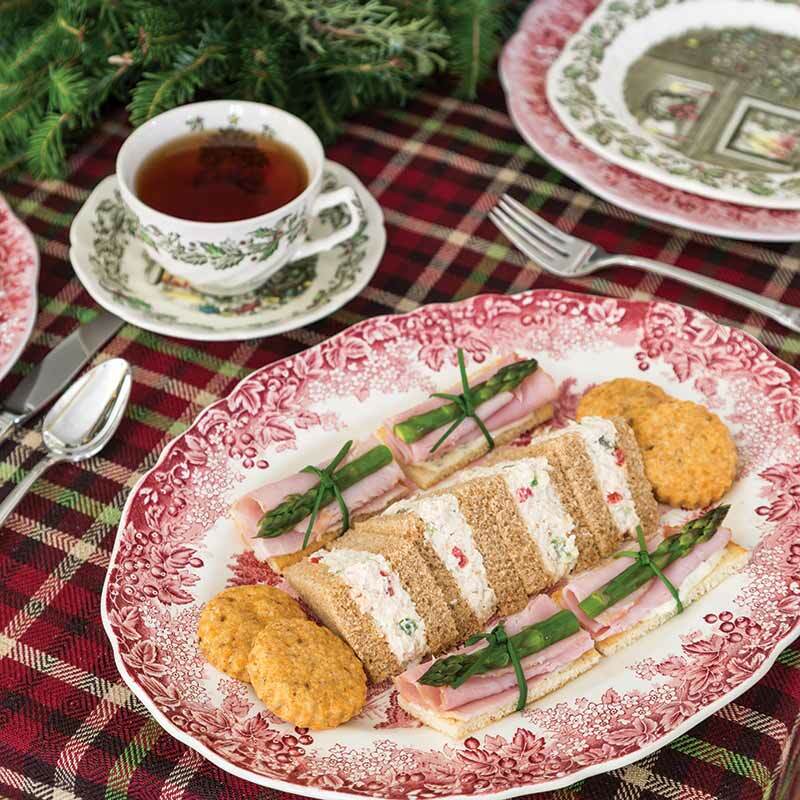 The china, place settings, and sweet and savory finger foods are all key elements, but a tea party is only as good as the quality of tea served! And I don’t mean the price of the tea you are serving, but the way it is prepared. TeaTime magazine included a tea-steeping guide in their latest special issue, and it is a tried-and-true how-to that I stick to every time I prepare tea. I wanted to share it with you all today along with some beautiful and inspiring images from this issue! Always use the best water possible. If the water tastes good, so will your tea. If that is not the case, then bottled spring water is a nice alternative. Heat the water on the stove top or in an electric kettle to the desired temperature. A microwave oven is not recommended. Heating the water to the correct temperature is arguably one of the most important factors in making a great pot of tea. Pouring boiling water on green, white, and oolong tea leaves can result in a very unpleasant brew. In general, use 170° to 195° water for these delicate tea types, and always refer to the tea purveyor’s packaging for specific instructions. Reserve boiling (212°) water for black and pu-erh teas, as well as herbal and fruit tisanes. If the teapot you plan to use is delicate, warm it with hot tap water first to avert possible cracking. Discard this water before adding the tea leaves or tea bags. Use the highest-quality tea you can afford, whether loose leaf or prepackaged in bags or sachets. Remember that these better teas can often be steeped more than once. When using loose-leaf tea, generally use 1 teaspoon of dry leaf per 8 ounces of water, and use an infuser basket. For a stronger infusion, add another teaspoonful or two of dry tea leaf. As soon as the water reaches the correct temperature for the type of tea, pour it over the leaves or tea bag in the teapot, and cover the pot with a lid. Set a timer—usually 1 to 2 minutes for whites and oolongs; 2 to 3 minutes for greens; and 3 to 5 minutes for blacks, pu-erhs, and herbals. (Steeping tea longer than recommended can yield a bitter infusion.) When the timer goes off, remove the infuser basket or the tea bags from the teapot. For best flavor, serve the tea as soon as possible. Keep the beverage warm atop a lighted warmer or under your favorite tea cozy if necessary. 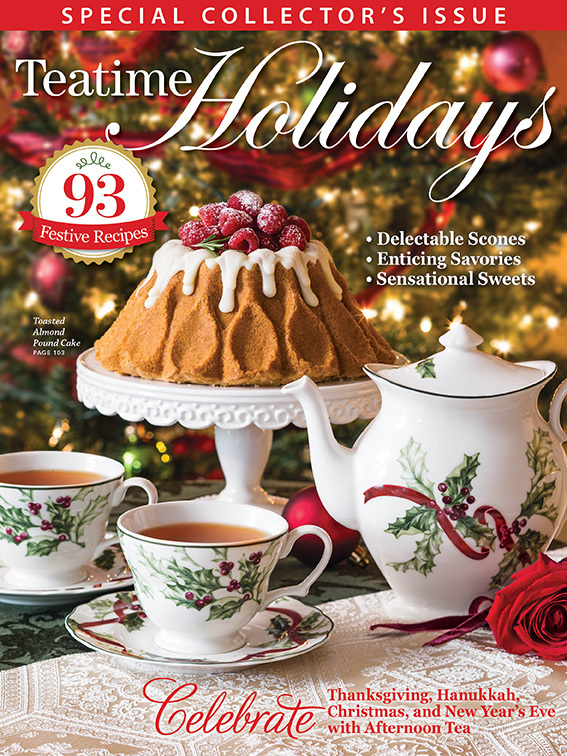 For more stunning table settings and recipes for the perfect Christmas tea, click the holiday issue below to shop! I forgot the best place in California to have tea and scones is at the Tuck Box in downtown Carmel, Ca. Back in the 70’s my husband and I were in there on vacation and Kim Novack the movie star walked in with a handsome man I recognized her and almost fainted she was so beautiful. Memories…..
It’s all good during the holidays! I enjoy your blogs, but do not see them unless my friend sends them to me. I have tried several times to subscribe, but have not been successful. Maybe this time will be the charm. Please take a look at my information below. Thank you! We will make sure you are successfully subscribed. You should receive an email from our team shortly. Thank you for reading! Bless you for posting this guide! No more bitter tea, I hope. I enjoy your blogs, but only see them when my friend sends them to me. I have tried to subscribe a few times, but never seem to be successful. Please take a look at my information below and maybe this time will be the charm. Thanks! I have found that the cup or mug used definitely affects the brewing. Some teacups produce a perfect (for me) tea, whereas wider cups that are intended for coffee don’t keep the water hot enough. For black or herbal tea some mugs can nurture a good cup. Styrofoam or paper cups – forget it. There is a reason why you rarely see tea in vending machines, though I did encounter it in England in the Sixties, tea-leaves and all. While in London last year, I was able to indulge in Afternoon Tea at Browns Hotel with two friends. What a fabulous experience!! My favorite tea is Assam because although it’s a black tea, it’s very smooth and doesn’t have the bitterness other black teas have. Thank you Phyllis for sharing this post. Merry Christmas to everyone. If I had to choose one tea to drink for the rest of my life it would be Taylors of Harrogate Afternoon Darjeeling. Harney and Sons Earl Grey Imperial is a close second. When it comes to green teas I especially love the Japanese brands Ito En and Yama Moto Yama. My favorite tea is PG Tips. I like a plain strong, black tea and PG Tips is it! I carry a little zipper pouch in my purse with a few of these pyramid teabags so I know a great cup of tea is always close by. What is your favorite Phyllis? 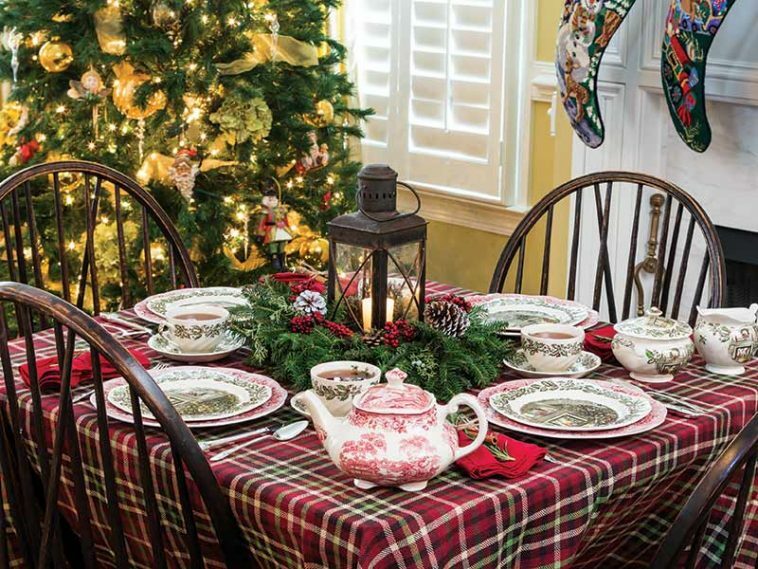 I love holiday tea parties too! The pleasure brought to others by serving tea & scones gives me such joy as well. Happy Holidays! My favorite teas have to be the Mariage Freres French teas! I love their breakfast teas, and the almond and Prince Igor especially. They are hard to find in the US, but the Cultured Cup in Dallas has and sells them, and Market Hall Foods online. They are such special teas. I don’t think anything else I’ve tasted is like them. My favorite tea is Charleston Tea Plantation by Bigelow. They have many varieties, but my favorites are Breakfast Blend and Earl Gray. I have used them at my Christmas tea party for the past two years. Everyone was very complimentary.